make their début at exhibition. The Hollanders ColorBooster 250Hollanders Printing Systems has confirmed that its ColorBooster 250 digital textile printer will make its European début at this year’s Fespa Digital exhibition in Munich, Germany, 20 – 23 May (Stand B2-172). The machine has been designed to appeal to sign-makers and display producers who want a modular machine that can be upgraded when required. Hollanders is introducing the system at an entry level price of €89,000 and it is complemented by the ColorBooster 250 Carpet Edition that is specifically configured to work with flooring materials. 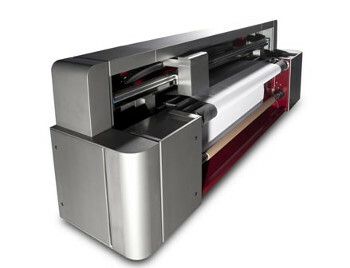 The ColorBooster 250 is a 2.5m wide-format digital textile printer which the company said has been designed to bring the benefits of working with fabrics to a wider audience as a result of its low investment cost and long life expectancy. The printer incorporates many of the established features that are built into the Hollanders 3.2m ColorBooster XL to enable it to produce high quality output on a broad variety of polyester-based materials. Hollanders highlighted the fact that the ColorBooster 250 can be configured to suit the production requirements of individual users, with upgrade paths that accommodate a host of additional features such as dust and climate control, or additional print-heads for faster throughput. The ColorBooster 250 Carpet Edition is intended for users wanting a digital device for producing durable floor coverings and is engineered to work with heavy rolls. At Fespa Digital Hollanders will also feature full information on its ColorBooster XL 3.2m printer and its ColorBooster DS which it claims is the only production system that prints on both sides simultaneously and incorporates an integrated infra-red fixation unit. The company’s digital textile printers are complemented by its ColorWash washing machine and ColorFix infra-red colour fixation system.